I love opportunities for new beginnings: Mondays, January, beginning a new school year, giving birth, adoption–the blessings a fresh start; beginning again! The steadfast love of the Lord never ceases; His mercies never end; they are new every morning; Great is Your faithfulness! Science: Ecology, Astronomy, Physical Science–and related experiments and projects. Timeline: The whole shebang! We’re going to have a lot of fun with our timeline this year since we already have it mastered. We have memorized 161 events on the timeline from Creation to modern day. This year we will learn more about some of the events we have already studied and we will also place new people and events on the timeline as we read new books and explore new places. We have a large brick wall in our living room that will display our timeline–I’m really looking forward to it! Reading: We have a nice, long list of books we plan to read this year. I compile our reading list from places like: Sonlight, Honey for a Child’s Heart, CC Reading Resource Lists, and of course the recommendations of friends. Math: We will be mastering addition and subtraction facts as well as concepts like time, money, and basic measurements. I use the Saxon 1 Teacher’s Manual as a guide but we don’t use the workbook. Spelling: We will use the Original Blue Back Speller and compile our own lists that we’ll work on until each one is mastered. If you’ve never listened to Andrew Pudewa’s talk on Spelling and the Brain, I highly recommend it. If you’re a local friend, you’re welcome to borrow my CD! Phonics: We review 8 Abeka phonics cards per week. I usually include the big boys in this review as well. 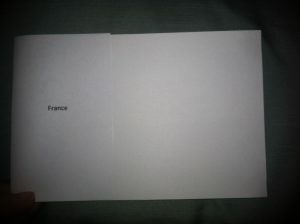 There are about 150 cards with the sound or blend on one side of the card and up to 8-10 words that use that particular sound or blend on the back side. It’s a great tool to improve their reading and spelling. Reading: Owen loves to read (thank you Jesus!) so we will continue to read through Dr. Suess, the upper level BOB books, and so on as his reading improves. We will read tons and tons of books and work on basic preschool learning such as ABC’s, counting, shapes, and colors. We’re just going to take it one day at a time. Can you believe it?! A post completely unrelated to adoption! 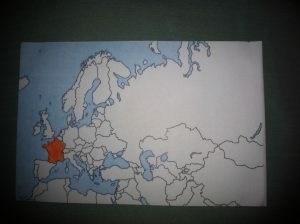 I have been working very hard on creating a set of flashcards for this cycle’s geography. I made flashcards for the first twelve weeks of cycle 1 and my children did amazing with them. My goal was to make cards for every single location for cycle 2. Alas, there are 122 cards in all! I decided to scan them into a PDF (or three smaller PDFs to be exact, because one was WAY too big!) so I could make them available to other CC families whose children respond well with visual cues. They would also be great to use during geography if you’re a tutor. I used mine a lot last year in class and my little four and five year olds learned fast! I must tell you, I originally planned to sell the download for $10. It took me weeks to finish these, they’re in color, labeled, ready to print and use. 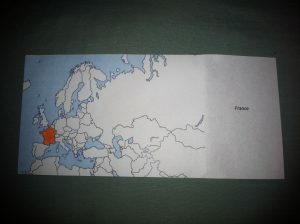 But then I started to think about the fact that you still have to print them, fold the labels over (each map and label are side-by-side so you’ll fold each label over to the back after you print). You may also choose to glue the entire thing to a 4×6 index card for better durability, and if you’re like me, you’ll laminate the finished product! Therefore, I’m only asking $5. Another beneficial aspect of these flashcards is that I chose to use several different maps to create the cards and best display each individual location. As a result, your student will be challenged to find a familiar location on each card as they first begin to study and learn them. For example, India and Italy are two places that are pretty easy to pick out if you’re looking at a map of Asia or Europe. You’ll be amazed how much their knowledge of world geography will grow this year. If you’d like to purchase the PDF downloads for my European and World Geography Flashcards, please click on the “donate” button to the right and follow Paypal’s instruction. In the note or memo section please let me know what email you’d like your download sent to. I will be sending the first “batch” of downloads on Saturday. This allows me a few days to do some final editing that will make the cards even better. These cards have been reviewed and edited by three other CC moms and each location has been cross-referenced with the Foundations Guide and at least one extra map source. However, I’m still human. If you purchase the download and find a mistake, please let me know and I’ll fix it ASAP and re-send the corrected card(s) to everyone who has already purchased them. We love geography in our house, it just took us a few years to figure out how to best utilize (and master) our maps. Flashcards and consistent drawing/tracing are definitely the keys for my children (and me)! I hope you enjoy them. …and please pass this link along to your CC friends!